Rio Roller Classic II Passion Roller skates - the Rio Quads in classic black-blue-pink-green. With 4x 62mm x 35mm / 82A wheels and ABEC 7 bearings fitted. 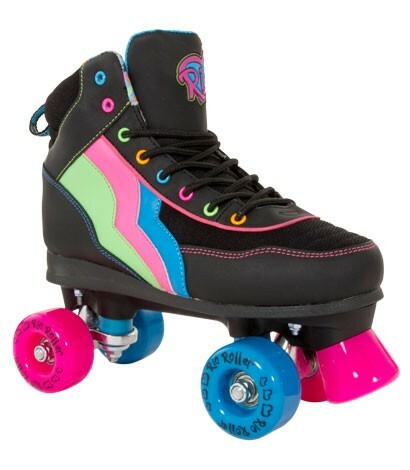 The Rio Roller Quads Skates in retro colors. Classic as we know it from the Walt Disney films.